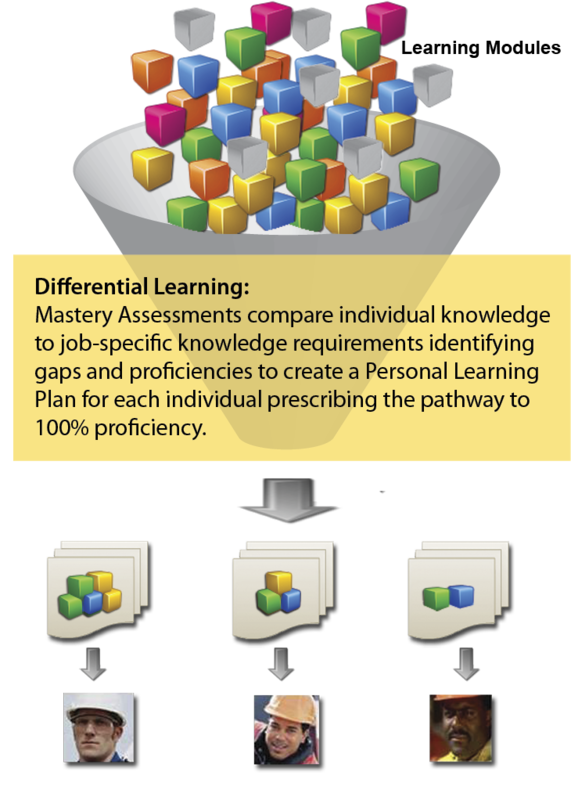 Our Differential Learning methodology assesses each learner's range of existing knowledge, identifies knowledge gaps, and prescribes an appropriate learning path that delivers targeted content to achieve and maintain 100% proficiency. These personal learning paths eliminate redundant or unnecessary training activities and provide learners the opportunity to learn more efficiently. This approach reduces learner time-to-proficiency and develops a better qualified workforce.